Neal Wells IIIis of counsel to Slovak Baron Empey Murphy & Pinkney LLP with offices in both Palm Springs and Costa Mesa (Orange County) California. He is an estates and trusts lawyer whose practice focuses on all aspects of that area of law: estate planning, estate and trust administration, income, gift and death taxation, and litigation respecting estates and trusts. Wells is a fellow of the American College of Trust and Estate Counsel where he currently serves on the Fiduciary Litigation Committee. 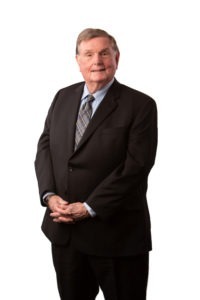 He served as chair of the Executive Committee of the Estates, Trusts and Probate Law Section of the State Bar of California and was on the Probate Estate Planning and Trust Law Advisory Commission of the California Board of Legal Specialization. Wells is certified as a specialist for estate planning, trust and probate law by the State Bar of California Board of Legal Specialization. He was an active member of the Probate Litigation Committee of the American Bar Association. Wells has written numerous articles for professional journals. He has been listed as one of the top lawyers in the region and country in local and national publications. Wells previously served on the Orange County Board of Directors for Children’s Home Society. He enjoys dining out and attending theater with his family, attending Angel and Mighty Ducks games, and fishing in the High Sierra. He is active in St. Andrews Presbyterian Church, where he serves as general counsel.